This innovative art exhibition builds upon the growing strength/phenomena of the Die Active New Generation Art Collective, now entering into its 7th year of contemporary art activities involving 610+new generation artists. 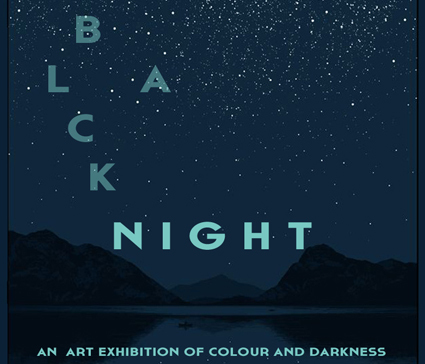 A multidisciplinary show in that it will become their public playground, battleground, and spectacular artistic display of black light, glow in the dark wall art painting & installation. Featuring a special glowy hiphop dance performance by Die Active Member Jesse Kajorinne, in Gallery 3. Come to our Glittery Gala Opening Reception & Volunteer Appreciation Party! Volunteers, Musicians, Artists, Businesses and Supporters will all be appreciated. Featuring a ferocity of art, musical performances and two coinciding shows including Definitely Superior Art Gallery 27th Anniversary Members show and Creators Project 5 -film screenings and live video mapping performance -Lots of exquisite birthday CAKES and catered summer refreshments by the Sovereign Room/Sushi Bowl/Sweet Escape Cake Café & Bakery. It all happens FRIDAY JUNE 19 @ 7-10pm.